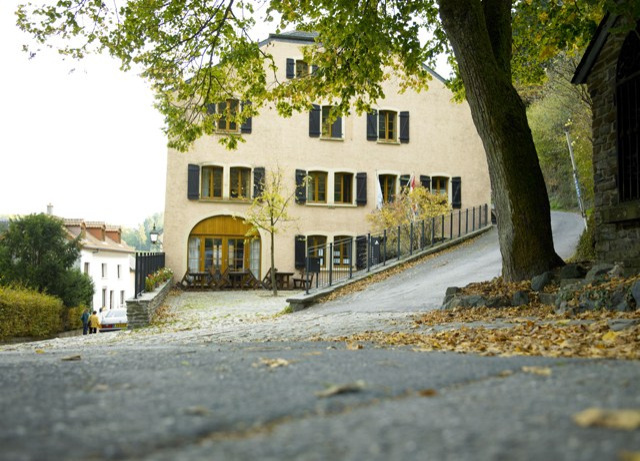 The youth hostel, an old traditional house in the upper part of the town, is only at a few minutes walking distance from the castle. 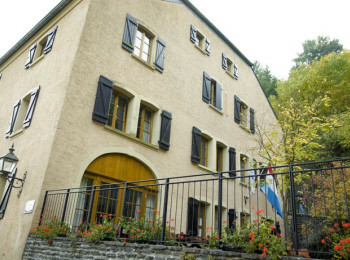 The hostel was completely renovated in 2004. 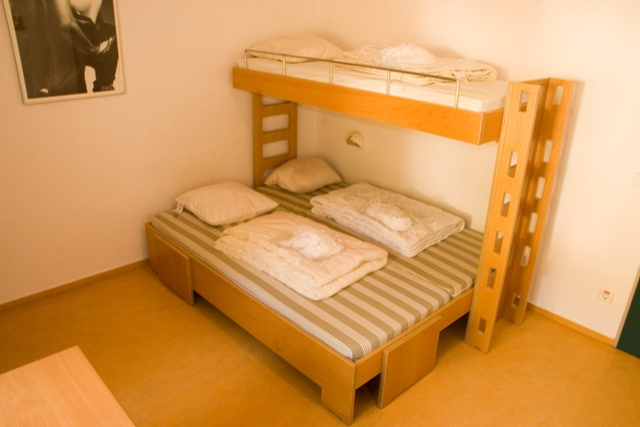 66 beds are divided in rooms from 2 to 12 beds. The rooms are situated on two floors with sanitary facilities on each floor. 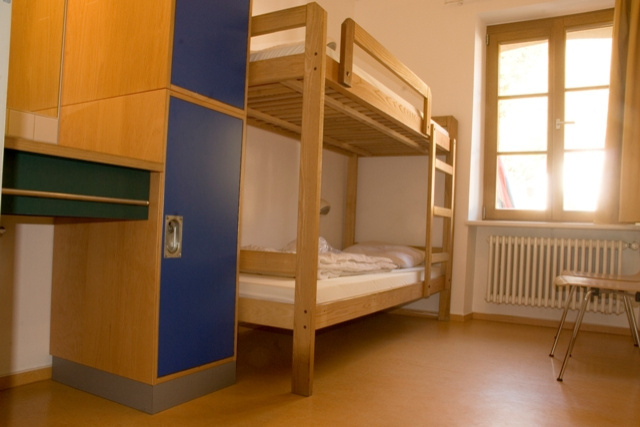 In addition, the hostel has a small common room. Our team will do its best to satisfy the guests and offers full board (lunch, dinner, packed lunch). Luxembourgish specialities and vegetarian meals are available on request. The youth hostel is open for young and old. There is no age limit. Public busses regularly drive from Clervaux and Ettelbruck to Vianden. Clervaux and Ettelbruck can easily be reached by train from Luxembourg-City. The picturesque town of Vianden (population 1600) is situated on the banks of the river Our in a magnificent setting. The impressive castle watches over the old medieval town which is encircled by an outer wall with watch towers. There are many good reasons for a stay in the youth hostels of several days, because everything is possible - from an educational outdoor adventure to a cultural excursion. The youth hostels have established a program of various activities, making it easy in organizing your next school trip or group travel. 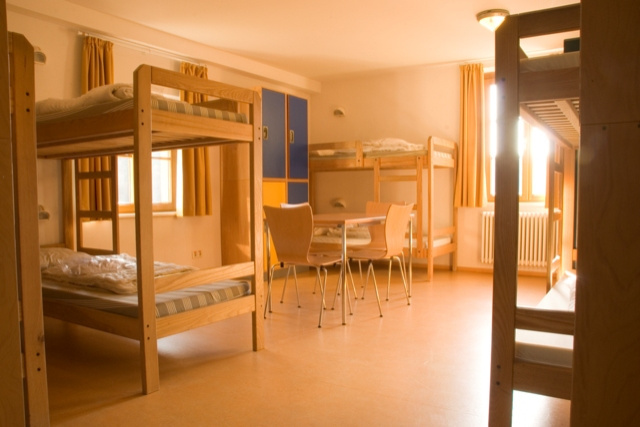 All hostels are well equipped to offer a pleasant stay to school groups and other groups of larger size. 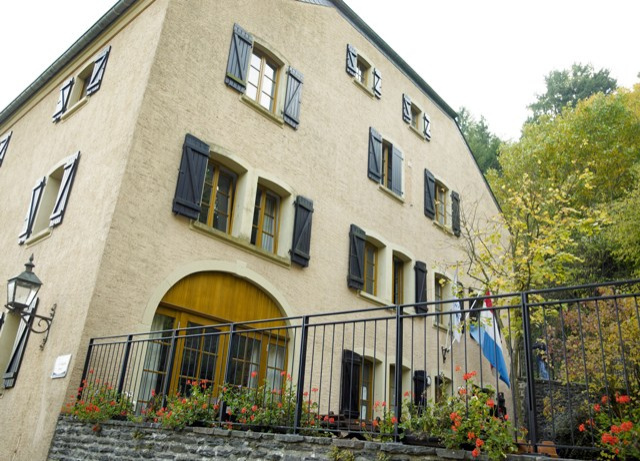 We offer some birthday packages for your kids at the youth hostels Echternach and Beaufort. But you can also party your child's birthday in one of the other youth hostels on demand. Melting Pot - the name says it all. Young people and youngsters at heart as well as Luxembourg residents and tourists of all nationalities meet and discuss here and are building up new contacts. And how can this going better? Of course, with a good meal and a delicious drink. Varied daily menus are offered every day and in addition you have the possibility to eat “à la carte”, a card, where you also find vegetarian menus. Groups can choose between many offerings from the catering brochure. Menu of the week and "A la carte"
Discover our various day menus or have a look at the youth hostel's card. 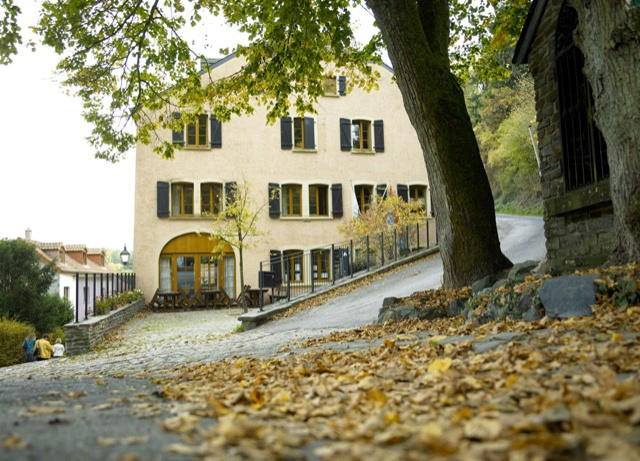 Whatever the occasion, group travel, a conference, a family event or a kids birthday, the youth hostels Luxembourg have a rich variety of dishes.